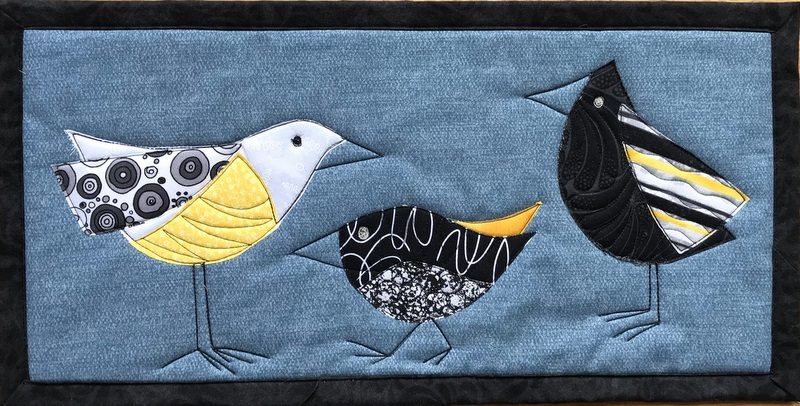 I was looking back over old blog posts and found one from a year ago about a small bird quilt I made. My technique needed more work on this first effort so it is hanging in my guest bath at the moment….not destined for public viewing! I haven’t had time to pursue more quilts like it until a few weeks ago. 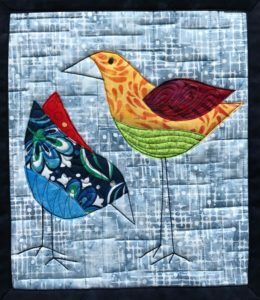 I was between larger art quilts and needed to do some super fun and crazy stuff on a small scale. Hence…the wacky, whimsical birds! These small goofy quilts are a big departure from my strict piecing approach with my other quilts. They are raw edge applique. I had a show (my one and only for all of 2018) on December 1st and these birds were making their debut last Saturday! I didn’t post them on ETSY as I wanted to get some direct feedback from customers. Well…the verdict is in and people loved the birds!! I sold 2 of the quilts before the show opened to other artists and one soon after the show opened. What I loved most was the smiles and laughter from people when they saw the quilts (The other artists let me keep the SOLD quilts on display for most of the show.) THAT is what I’m hoping my quilts will do for you! Make you happy! Make you smile! Brighten a room! 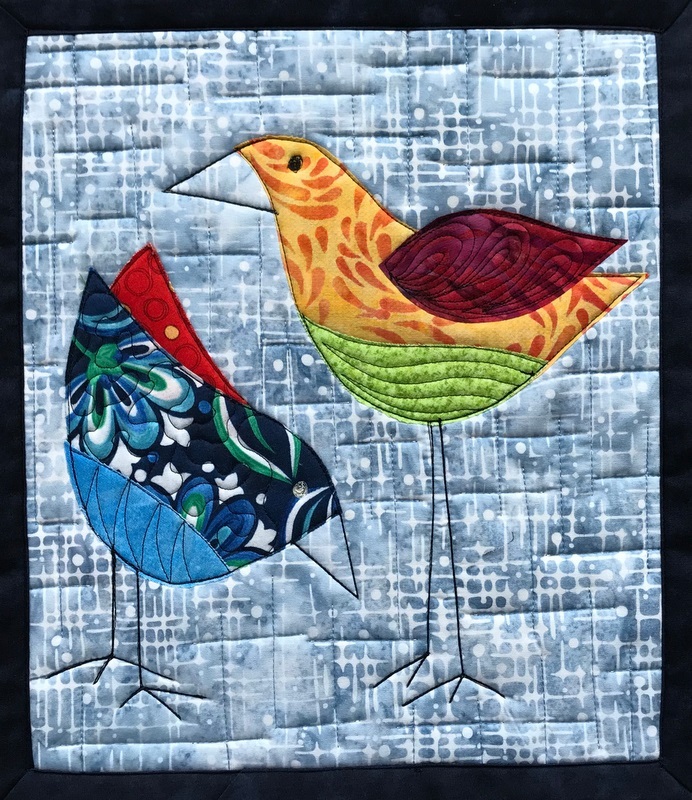 I see many more bird quilts in my future and can’t wait for the time and focus to play around making these! 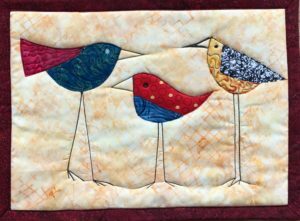 The four I made are shown in this blog but only the Three Tall Birds is still available in my ETSY shop, Art Quilts By Sharon.